I know lung, but what’s the difference to wang and specially Pewang? A pewang is a text blessing after which you can read the texts yourself but you can't pass it onto someone else. With lung you theoretically can do that. There are differences of opinion on this point. This is what CNR told me while giving me a pewang, I never heard anything else about it. As I said, there are different opinions about this, just like everything else in Tibetan Buddhism. Now I am puzzled. I have never heard that a lung authorizes you - even if just theoretically - to pass a text further. So, what are the different positions on this point, what would be the prerequisites? Yes, there is a saying in Tibet, "Even a dog's tail can give a lung." Basically, if you have the lung, you can give the lung. Whether anyone would want to lung from you is another issue, since receiving a lung from someone entails commitments to that person. What commitments does it entail? The same as receiving an empowerment, but not as strong. Is there a book that you recommend on the commitments and vows? I did think so, is there an equivalent for sutra materials? Nothing apart from the general exhortation to regard anyone from whom one receives Dharma teachings to be like a Buddha. My thanks to you all for your help. It's good to receive this empowerment if you are practicing anything in the Nyingma dzogchen. In fact, when this was given by Kyabje Trulshik Rinpoche in 2004 Tulku Pema Wangyal told everyone to tell all their Dharma friends to drop everything and come and receive this, because, until current times, it was rarely given in public... only in small groups of dedicated practitioners. Most of us will not actually do the practices involved, but it's a ripening blessing for all our main practices. 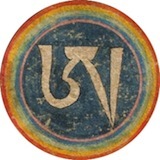 Mutsuk mentioned before that Khenpo Jigme Phuntsog wrote a practice manual for the Nyingthig Yabzhi. Not sure if one could approach one of his Khenpos for the transmission. Wow! When you say "one of his", you mean Garchen Rinpoche or Jigme Phuntosk's?